The Roowifi module allows to control with precision every Roomba motor / actuator, they have real-time monitoring of their sensors and allows operating the iRobot Roomba vacuum from any place that has Internet access. Control the Roomba vacuum cleaner with your smartphone! 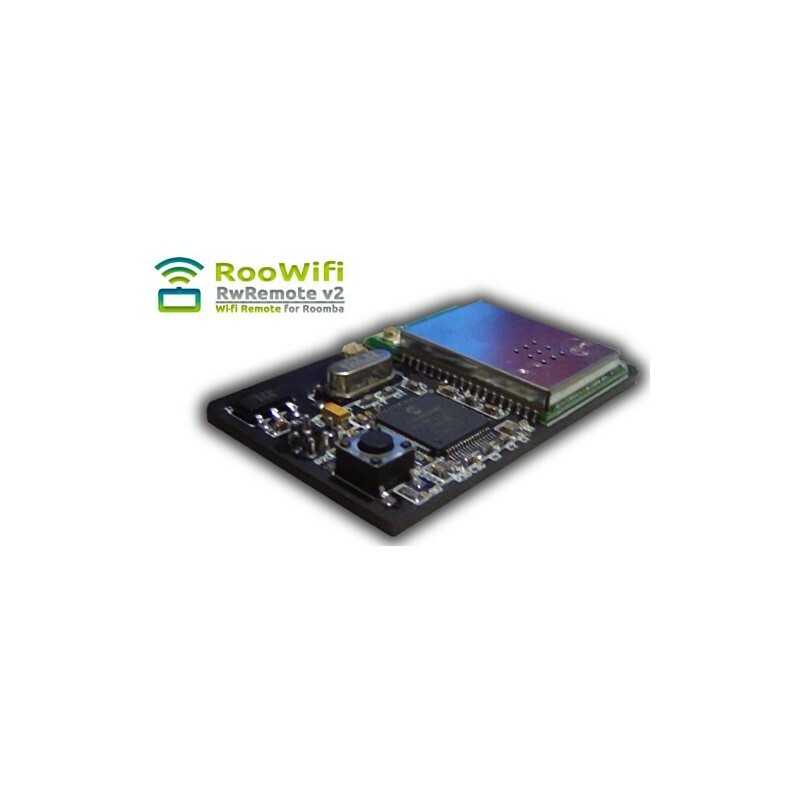 The WiFi module for Roomba allows you to precisely control each motor / actuator in your robot to have a real-time tracking of the robot's sensors and play with it anywhere you have access to the Internet. 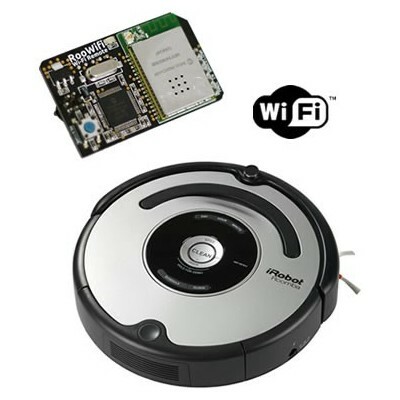 With a Wi-Fi connection function and the web server interface, you can control your Roomba from an iPad, iPhone, Android, Blackberry and Windows, as well as a server or PC / MAC. 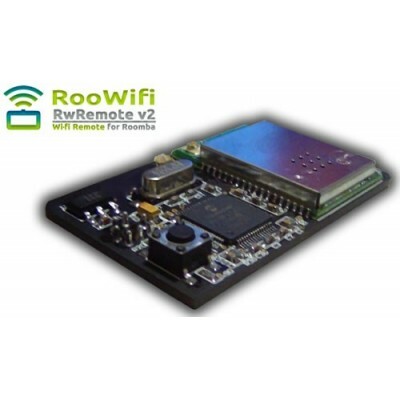 RooWifi V2 also allows software developers to develop their own applications for smartphones, tablets, PCs and Macs and communicate with the additional wireless iRobot Roomba. 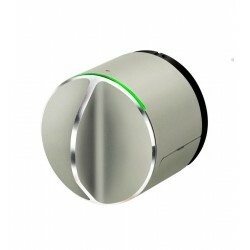 The connection and communication with the Roomba is carried out through the mini-DIN connector 7 pin PS / 2 located on the top of the robot. 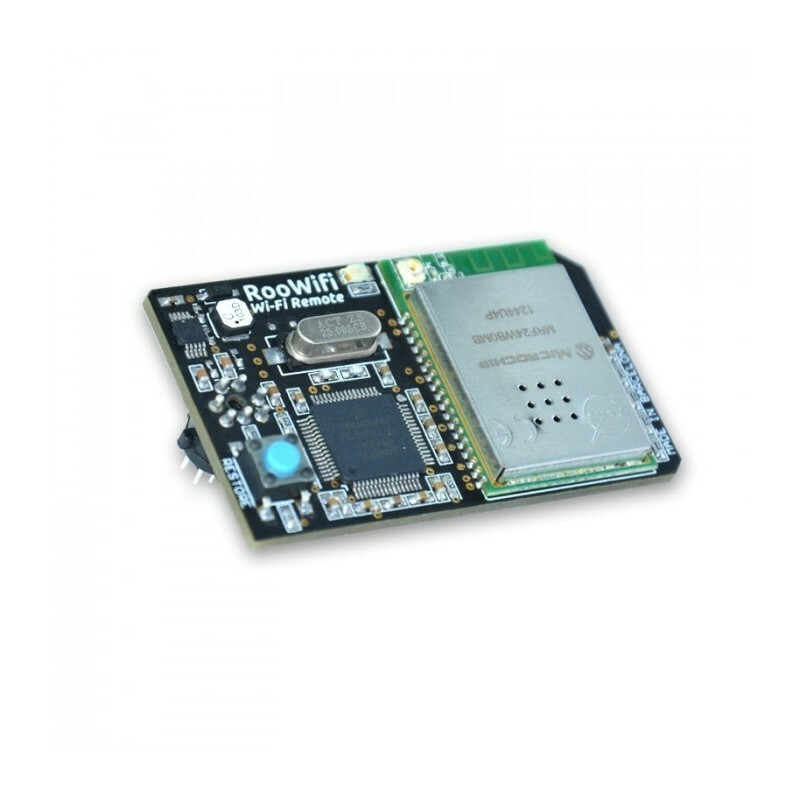 RooWiFi V2 uses the SCI communication protocol (serial command interface) developed by Robot. The communication speed adjustment is done automatically in the process of starting RooWiFi V2. 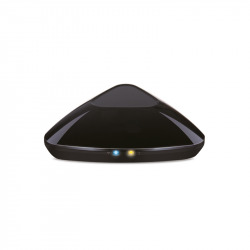 The RooWiFi V2 can operate in three different modes of Wi-Fi Hotspot (Ad Hoc), Home Network, reconfiguration (transient). 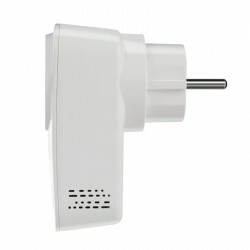 The new design of the power source is more efficient than ever (~ 90%) and gives more power to the Wi-Fi signal.